Fearless, unorthodox, and irreverent, Michaelson shows how meditation has moved from ashrams and self-help groups to classrooms, prisons, and corporate boardrooms. He introduces the reader to maverick brainhackers, postmodern Buddhist monks, and cutting-edge neuroscientists while also sharing his own stories of months-long silent retreats, powerful mystical experiences, and many pitfalls along the way. Evolving Dharma comes at an exciting, even historic, moment in the spiritual life of the West. There are one million new meditators each year in the United States. This is a moment of remarkable opportunity — yet also of a hunger for a more cutting-edge, younger, and plugged-in “dharma book”, which comes from a newer generation and is informed by its values. How is a new generation, post-hippie, postmodern, and possibly even post-Buddhist, reshaping meditation in the West? How is the practice of happiness informed by cognitive neuroscience? How are newer, Occupy- and Web 2.0-influenced participant communities creating new forms of contemplative communities and perhaps avoiding the scandals that plagued the authority- and guru-based ones of a previous generation? Evolving Dharma answers these questions. Featuring interviews with Richard Davidson, Jon Kabat-Zinn, Lama Surya Das, Stephen Batchelor, and other leading figures, it is the authoritative guide to the mindfulness revolution. 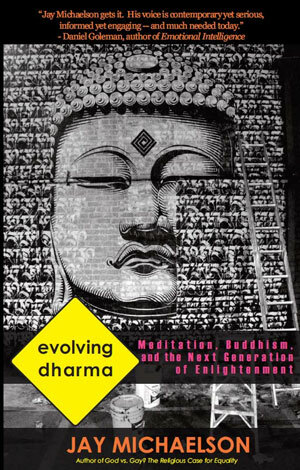 Purchase Evolving Dharma on Amazon.com by clicking here. For interviews, bookings, and other information, click here. For the Evolving Dharma press kit, click here. Read Publishers Weekly’s rave review of Evolving Dharma. Read the Velveteen Rabbi’s insightful analysis of Evolving Dharma. Read Terry Patten’s account of his conversation with Jay and his views on Evolving Dharma. Dr. Jay Michaelson is a writer and activist who has practiced Theravadan Buddhist meditation for twelve years. He is the author of five books, most recently God vs. Gay? The Religious Case for Equality (Beacon), a 2012 Lambda Literary Award finalist and Amazon.com bestseller, and Everything is God: The Radical Path of Nondual Judaism (Shambhala). His writing appears regularly in the Daily Beast, the Forward, Tricycle, and the Huffington Post. Unusually for an author of a book on meditation, Jay is not a full-time meditation teacher but rather a longtime leading LGBT political activist. 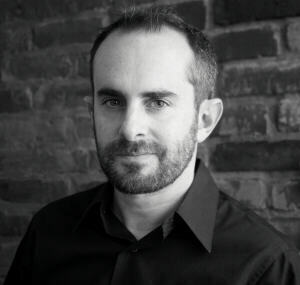 Recently the vice president of the Arcus Foundation, the leading funder of LGBT causes worldwide, Jay’s advocacy work has been featured in the New York Times, NPR and CNN and he has been listed as among the “most inspiring LGBT religious leaders” by the Huffington Post and among “our religious allies” by The Advocate. Michaelson own contemplative journey includes twelve years in the dharma, including several long-term vipassana retreats in the United States and Nepal, as well as a serious commitment to nondenominational Judaism, including twenty years of studying at teaching Kabbalah. Having taught at institutions from Kripalu to Burning Man, and at over two dozen university campuses around the country, Jay brings to his presentation of the dharma a contemporary sensibility, a critical, yet warm, perspective – and hopefully, a sense of humor. Jay is also an accomplished scholar of religion who holds a PhD in Jewish Thought from Hebrew University of Jerusalem, a JD from Yale Law School, an MFA from Sarah Lawrence, and a BA from Columbia. He has held teaching positions at Yale University, City College, Harvard Divinity School, and Boston University Law School, and has been a scholar-in-residence at over 100 institutions around the country. How did you get started on the path of Buddhism? In college and later in graduate school, I studied mystical texts and was entranced by the possibility of profound mystical experiences. Yet I never tried to have them for myself – not until later in life. I came to meditation for experiences of transcendence, only later to find out that they weren’t what really matters. I discuss all of this in the book. What is the “next generation of enlightenment”? The very notion of liberation, or enlightenment, is evolving. We understand what it looks like in neuroscientific terms, and we’re in a more mature position to appreciate it experientially. Liberation involves building up your pre-frontal cortex so that it can mediate between even the most intense impulses from other parts of your brain. This shifts how we understand meditation itself — what it’s doing, what it’s about. “Brainhacker” is a meditator who knows that what she’s doing is hacking the brain – improving its functionality, building feedback loops, that sort of thing. What the brainhacker is doing may be no different from what any yoga or meditation practitioner is doing, but the attitude – pragmatic, non-woo-woo, enthusiastic – is distinctive.